Brooklyn Dodgers great Preacher Roe once told an interviewer he never thought he received enough credit for teaching Sandy Koufax his curve ball, The Log Cabin Democrat of Conway, Ark., wrote in 2009. Koufax, of course, went on to his own spot in Dodger legend, and the Hall of Fame. But another one of Roe's students, a student who shared Roe's hometown of West Plains, Mo., was Steve Parker, now a Conway businessman. "Obviously, I didn't learn well enough or I wouldn't be talking to you today," Parker told the Arkansas Sports Club at a luncheon honoring Roe, the year after Roe's 2008 passing. Parker went on to make his own mark in college, owning one of 12 no-hitters in University of Arkansas history. But he struggled to make his mark in the pros, getting as high as AAA, but never making the majors. Parker's Razorback no-hitter came in 1986 off Texas A&M. He'd joined the Arkansas team, a junior college transfer from Crowder Community College in Missouri. His year included the no-hitter, a one-hitter in March and a four-hitter in April. The one-hitter came against Texas in a 3-0 Arkansas victory. The four-hitter boosted his record to 6-0. But it wasn't all good, later in the year, A&M made up for lost time, getting 10 hits off Parker in an Arkansas loss. Still, it was enough for the Cubs to select Parker in the 12th round of the draft that year. Parker signed at the same time as fellow Cubs draftee Joe Girardi, the two playing together at Peoria. 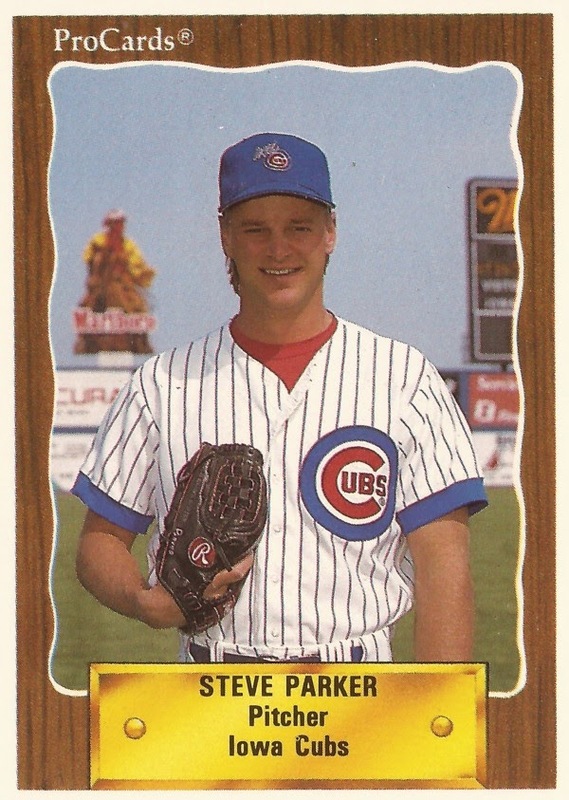 Parker played at single-A Peoria in 1986 and returned for 1987. Parker went 6-3 and 7-8 those years, with ERAs hovering around 3. Parker made AA Pittsfield in 1988, becoming a reliever and posting a 4.50 ERA. He came into one June situation against Reading, giving up an RBI double. In a May game, Parker gave up a walk, contributing to giving up a run. Parker split 1989 between single-A Winston-Salem and AAA Iowa. At Iowa, Parker had a 2.58 ERA in 19 outings. He returned to Iowa for 1990. In 44 games for the Iowa Cubs, Parker's ERA increased to 5.51. Parker rounded out the year with the Cardinals system, with six not-much-better appearances with AAA Louisville and his career was done, short of the majors. Speaking to the Arkansas Sports Club in June 2009, Parker recalled his time in West Plains and time talking with Roe. Parker never heard Roe tell a story about anything the retired Dodger had done. And when Roe taught pitching, there was little about mechanics, but much about the mental aspect and how to prepare, Parker told the crowd, according to The Democrat. "He always said the mental aspect was what separated the people who could do and the people who couldn't do," Parker told the crowd. "He taught me more about how to conduct myself professionally than anything else."